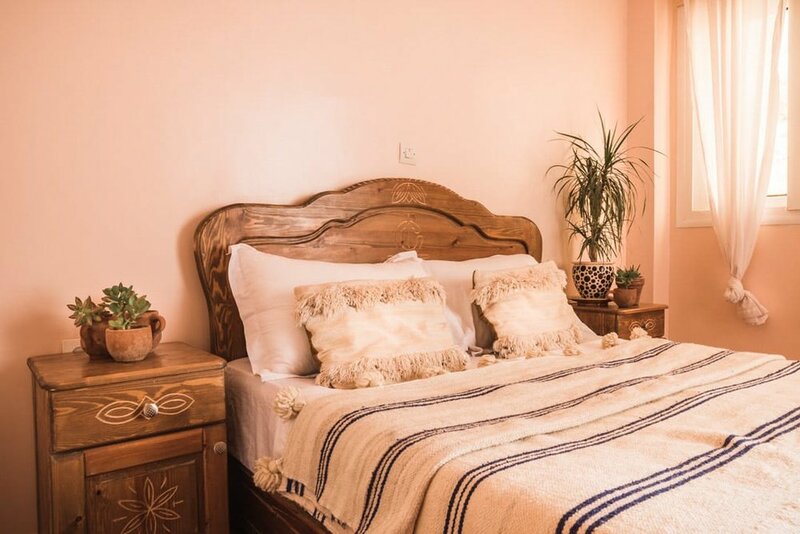 Our private rooms at The Lunar Surf House provide a touch of Moroccan luxury at an affordable price. Light and spacious, these rooms are perfect for couples or friends looking for cosy beach accommodation for a great price. These two rooms each offer a small private balcony. Guests have access to shared bathroom on the same floor.